STARTING AGAIN SOON!!! The Last Session Filled in Record Time Again! No other network marketing course online even gets close to producing the results so many people experience with Go90Grow. From Multi-Million Dollar Companies, to top earners, to brand new reps, everyone who uses this course sees their business grow. Yes! Please Add Me To The List! 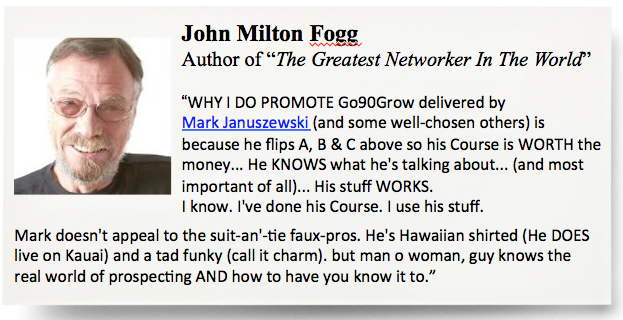 Discover why the Go90Grow© course fills so quickly every year. Let’s Cut Right Through the Crap! 1) How to get prospects to say yes 90% of the time. 2) How to get prospects to show up once they’ve agreed to “take a look” at your business. 3) How to get your team members to love dialing the phone and talking to prospects. 4) The truth about the 80/20 rule – and how to use it properly to build the strategy and group you want. 5) Get hands-on-support and a weekly mastermind call to master the skills so they work for you. The course will be filled within several days of the announced opening dates for the next session. It happens every year! … and every year, hundreds are disappointed because they missed the deadline. So if there’s anything or anyone telling you to take a leap of faith and get into the Go90Grow® course, do it now or your chance will be gone for at least 6 months! Finally, learn the skills you need to skyrocket your team and create unparalleled growth! What? Superior Networking Skills for you and your team. Why? These Skills can make you money from Day One! Why Now? 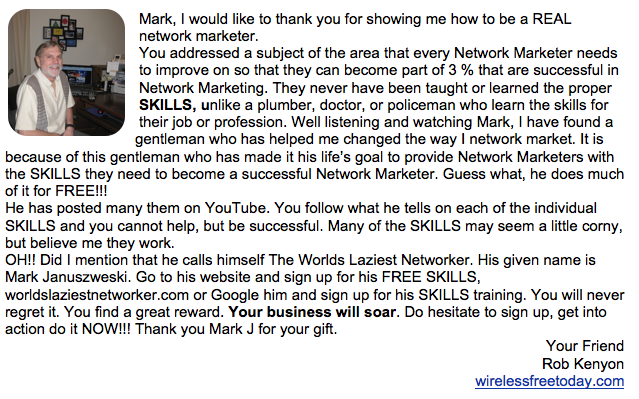 It’s time to make Network Marketing work for you. How Much? Honestly, the skills you learn from us will be priceless. The last enrollment was over in 72 hours! Get on the Early Bird Notification list so you get notified ahead of the crowd when we announce the registration dates.